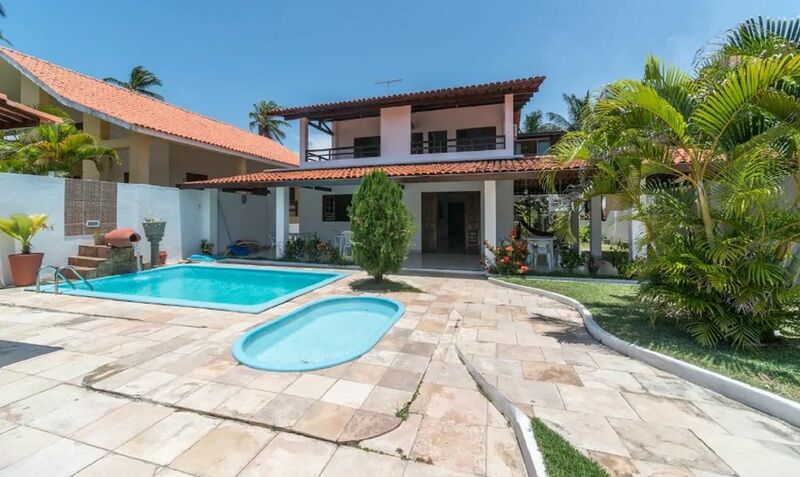 An excellent home in a seaside condominium, in Porto de Galinhas, for you to enjoy with your whole family. Our house is located in a condominium between two luxury hotels, the Vivá Hotel and the Village Hotel. The distance to the sea is 120 meters with access by the condominium itself. With 04 suites, for greater comfort for the guests, the house is also equipped with: air conditioning split in all suites, internet, WiFi, Smart TV 50'', fully equipped kitchen, pool, barbecue, rustic wooden table in the terrace for 10 people, tables and chair of PVC, hammocks, bathroom in the area, pool and shower, balcony in the two main suites, service area and garage for more than 5 cars.